Blood donors in veterinary practice are primarily used for the treatment of dogs with biliary and of course dogs that have suffered from major blood loss. 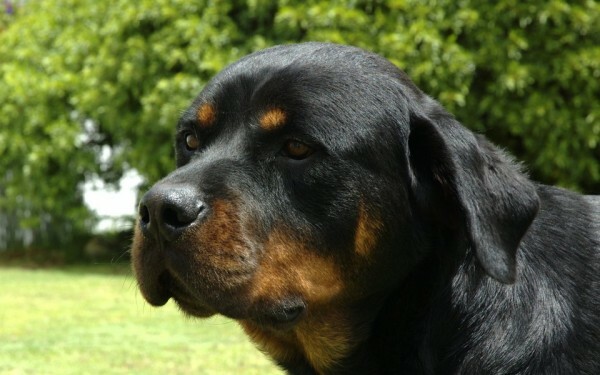 Dr Currie’s Rottweiler “Ndumu”, or “Dumi” as he is affectionately called, is our blood donor – not by his choice I’m sure. Unlike in humans, where blood typing is necessary, blood can be donated from one dog to another with only a small risk of a transfusion reaction. However, a dog can only receive blood once. A second transfusion would carry a high risk of a reaction. A typical case was the one of “Timone” whose story is below. In order to donate blood, Dumi must be assessed and healthy. A blood collection set is attached to him, and his lifesaving blood is collected into a collection bag. Once the bag is full, it is attached to an Administration Set and given to the patient intravenously. Any healthy dog over 40kg is able to donate blood. A dog can donate 2 units of blood at a time, but shouldn’t donate more often than once per month, at the most. A Very Special Valentine’s Day Gift !